Is it just me, or do thoughts of all of that hustle and bustle that accompanies the holiday season, the rushing from store to store in search of the perfect gift, attending holiday parties and family get-togethers, decorating the house and baking cookies and holiday treats just seem a bit overwhelming sometimes? Do you ever wish that you could just get away from everything and take a vacation for Christmas? Don’t get me wrong, I absolutely love the holidays and almost everything that goes along with them, but sometimes my mind drifts off to a far off winter wonderland, and I wonder what it would be like to go away for the holidays. If you’ve been thinking about vacationing during the holiday season this year, Santa and the elves have got just what you are looking for! They’ve been around the world at Christmastime, and they have put together a list of the best Christmas destinations imaginable just for you. 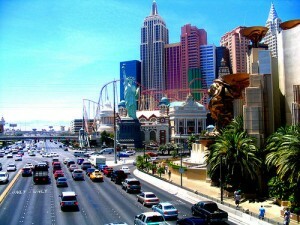 Las Vegas, Nevada: If you don’t mind foregoing a white Christmas, you can bet you’ll have a great time in Sin City! With tons of attractions that boast multitudes of holiday spirit, indoor heated pools and comfortably cool weather, Vegas is a great choice for your next holiday vacation. Just remember, what happens in Vegas stays in Vegas, and so do thousands of people during the holidays, so book your reservations early, and prepare for higher prices and a higher crowd volume than usual. The Grand Canyon: Get away from it all and make your holiday vacation grand when you visit this national park that is virtually crowd-free during Christmastime. Enjoy peace and quiet in the snow covered, awe inspiring wonderland, and experience the holidays like never before. 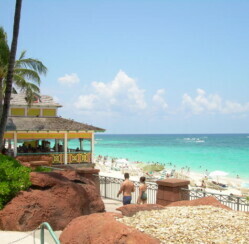 The Bahamas: Warm things up this Christmas when you take a vacation to the Bahamas. With 75° temperatures in the winter, inviting beaches, gourmet cuisine around every corner and an economy that is centered around tourism, the Bahamas is a top choice for beach vacations during the holidays. Aspen, Colorado: If snow covered mountains, snowboarding and skiing, live holiday music and a massive variety of specialty foods sounds like a good time to you, Aspen is an excellent choice for your holiday vacation. Since lots of people share your taste in holiday adventures, however, be prepared for long lift lines. Coronado Golf & Beach Resort, Panama: The Grinch in your life won’t have any problems taking you on vacation this holiday season when he discovers that the holidays are in full swing at the Coronado Golf & Beach Resort. The lush greens, interesting culture and magnificent cuisine make this a vacation spot to remember. Branson, Missouri: Experience Christmas Ozark Mountain style when you book your holiday vacation in Branson. Enjoy the magical glow of the Branson Area Festival of Lights, a multitude of magnificent musical performances and world class holiday entertainment, gaze off into the distance with breathtaking Ozark Mountain views, or visit one of the many attractions or specialty restaurants. Are you thinking of getting away from home for the holidays? If you could go anywhere this Christmas, where would it be?